In 3-quart saucepan, melt butter over medium heat. Cook celery, onion and garlic in butter 10 minutes, stirring occasionally, until tender. Add corn; cook 1 minute. Stir in flour, salt and pepper. Cook and stir until mixture is smooth and bubbly. 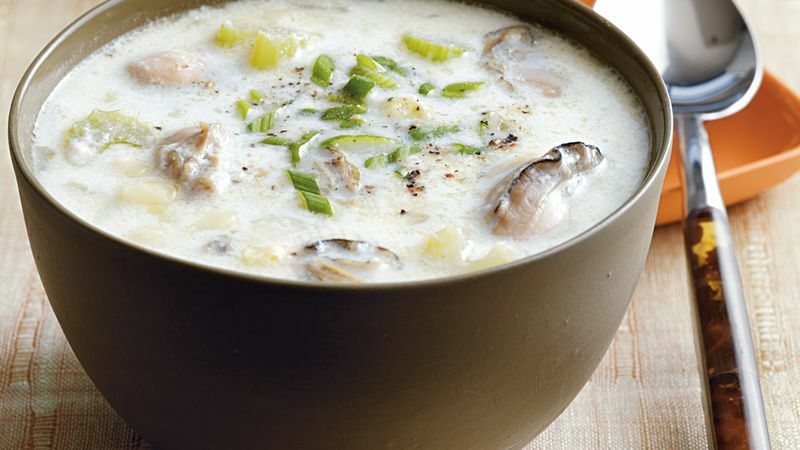 Gradually add milk, half-and-half and reserved oyster liquid, stirring constantly, until mixture boils and thickens. Stir in oysters. Cook over low heat until edges of oysters begin to curl. Remove from heat; stir in sherry. Serve stew with French bread. Garnish with green onions. Serve with pepper sauce.